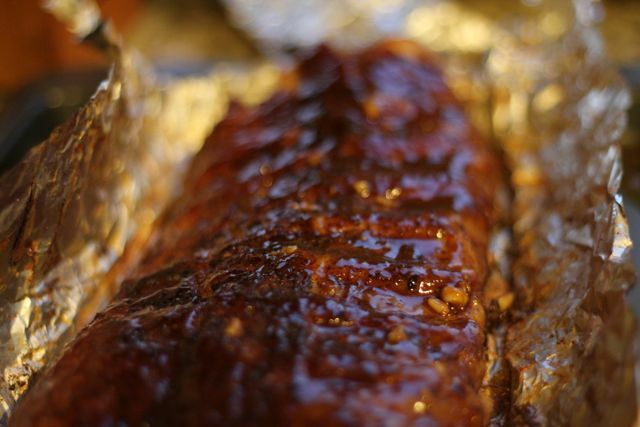 I want my baby-back baby-back baby-back baby-back baby-back baby-back baby- back…Barbecue Sauce! Am I the only one who sings this old Chili’s jingle in my head whenever I’m in the presence of ribs? Don’t answer that, I probably am. Have you ever asked the chef at a BBQ joint for his rub recipe…most will laugh in your face or tell you they’d have to kill you. What’s with all the secrecy and paranoia? Lucky for us, Alton Brown is of the sharing kind. Sharing is caring people! The rub comes down to a simple math equation. 8:3:1:1 8 parts of brown sugar, 3 parts of salt, 1 part of chili powder and 1 part of anything you’d like, that fits your personal taste. 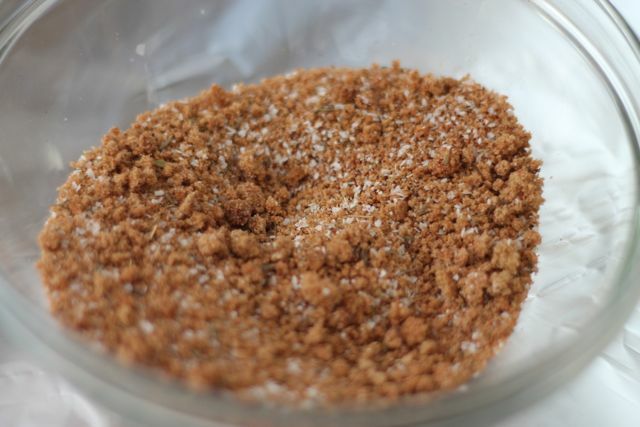 You could just repeat one part of the brown sugar, salt or chili powder if you can’t decide on one yourself. You could also add a bunch of different spices together, as long as the blend is equal to one part. Notice I say part and not a measurement, because if each part is the same size, you can use any measuring device big or small. This method is very forgiving and very easy. Keep the same ratio and you can make your own rub in not time! Here’s Alton’s favorite mix. 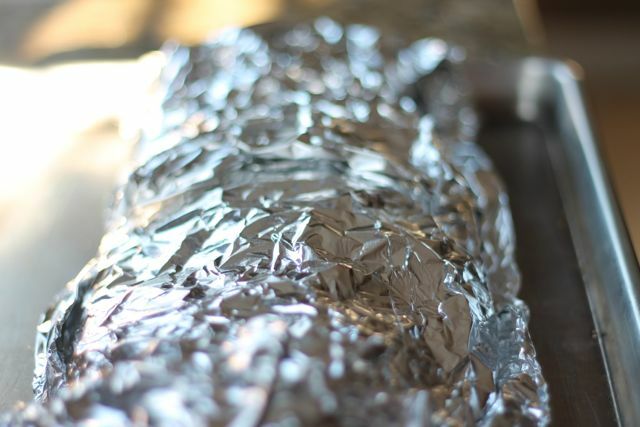 Cover with aluminum foil and park in the refrigeration for at least an hour or overnight. I prefer overnight, so you really give the meat time to absorb all that flavor. 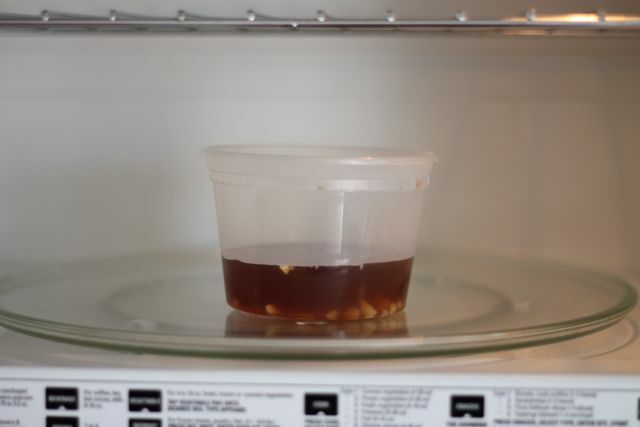 Add your braising liquid (wine, vingegar, worchestershire, honey and garlic) into a container and microwave on high for minute. 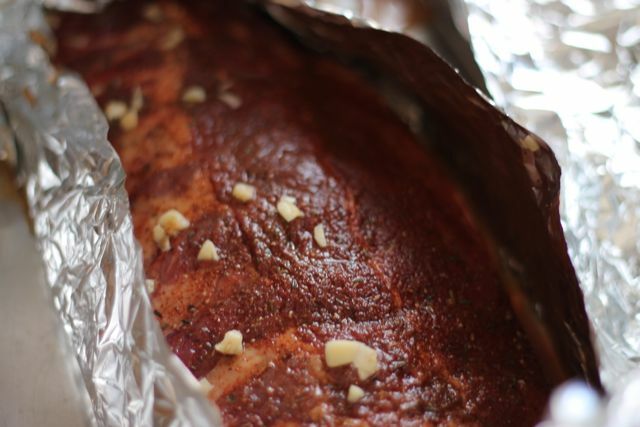 Open your rib foiled package and pour all the braising liquid in. Cover back up and cook at 225 degrees for 2 1/2 hours. Low and Slow! Hello there, I’ve been waiting 2 1/2 hours for you! Plate and devour! Have you wet wipes handy, things are gonna get messy 🙂 Definitely Good Eats! Transfer the braising liquid into a medium saucepot. Bring the liquid to a simmer and reduce by half or until of a thick syrup consistency. 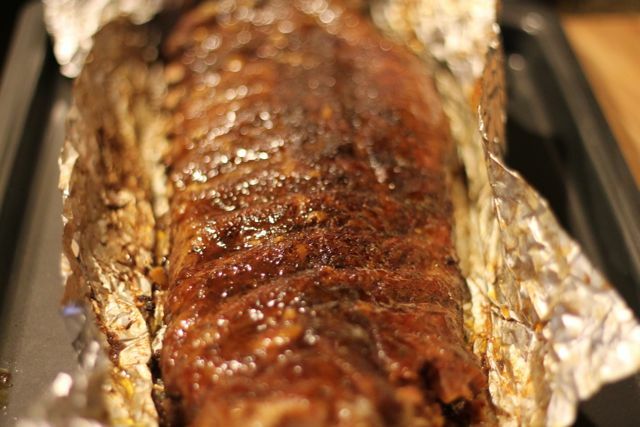 Brush the glaze onto the ribs. 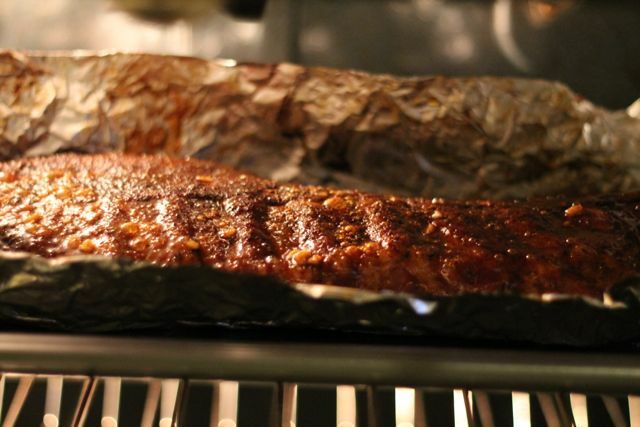 Place under the broiler just until the glaze caramelizes lightly. Slice each slab into 2 rib bone portions. 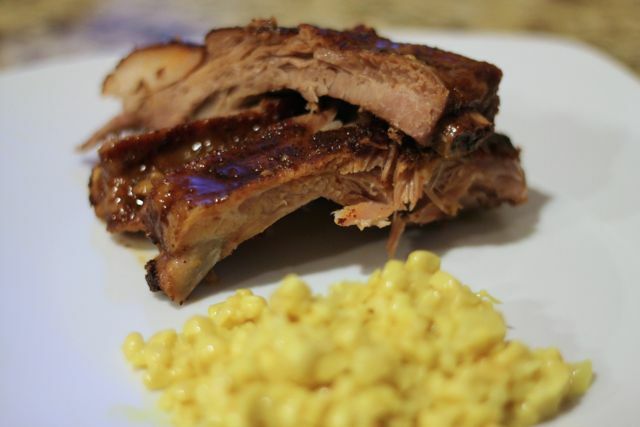 Place the remaining hot glaze into a bowl and toss the rib portions in the glaze. 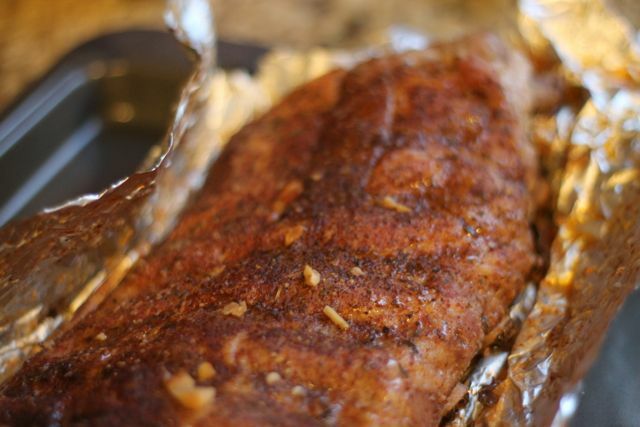 *This recipe makes several batches of dry rub. If more rub is needed, it can be extended by any amount, as long as the ratio of 8:3:1:1 remains the same. i’m planning to see if I truly may possibly locate all things connected with cooking recipes healthy! !